A high-level South Korean delegation met with Kim Jong Un in Pyongyang on Wednesday, as Seoul plans a new summit with the North Korean leader to break a deadlock in denuclearisation talks. 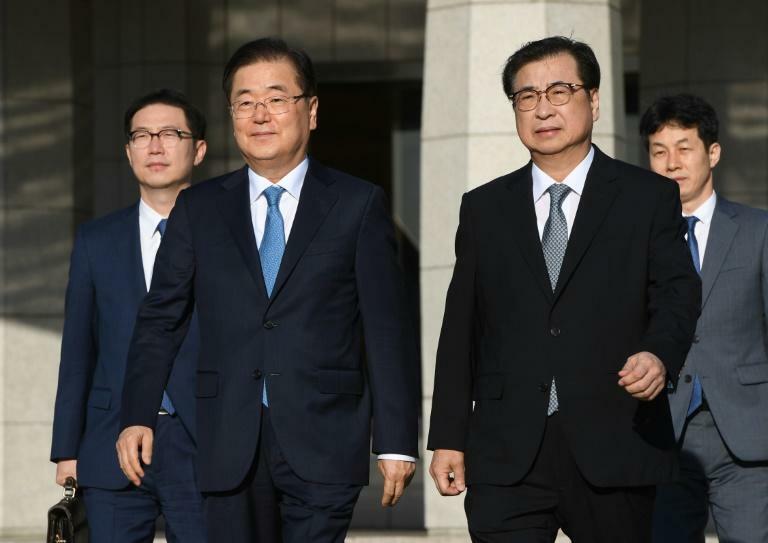 The South's President Moon Jae-in's special envoy Chung Eui-yong, who is leading the five-member delegation, earlier said he would discuss ways to "completely denuclearise" the Korean peninsula and establish "lasting peace". His delegation "met with Chairman Kim Jong Un and delivered a personal letter (from Moon) and exchanged opinions", a presidential office spokesman in Seoul said.